The second book was ‘IELTS Advantage: Writing Skills’, co-written by Lewis Richards, our General English Assistant Director of Studies, and Richard Brown a former LSI teacher who now works in Spain. Both of whom have extensive teaching and training experience. "IELTS Advantage: Writing Skills" is a fully comprehensive resource for passing the writing section of the IELTS exam with a grade of 6.5-7.0 or higher. Students are guided step-by-step through the different tasks in the writing module, using material developed in the classroom, by authors with many years' experience in helping hundreds of IELTS candidates achieve a high IELTS score. 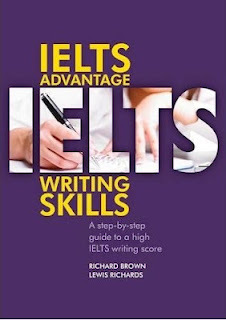 "IELTS Advantage: Writing Skills": shows students how to organise and structure an answer for all types of task 1 and 2 questions; contains a model essay in each unit, showing students exactly what is required; contains a general interest article in each unit, developing ideas and vocabulary for a common topic in the exam; quickly develops students' fluency and confidence in producing pieces of writing through a focus on academic vocabulary and collocations; and, contains grammar exercises in each unit, showing students how to apply a wide range of grammar items in their IELTS writing. Key features: suitable for classroom study or self-study; includes answer key; real writing samples from IELTS students, with examiners' comments, show in detail what is required to achieve a 6.5 , for example, frequent exam tips from the authors' experience as IELTS examiners help students achieve a higher score; and, check and challenge sections allow students to revise material and take their writing to the next level. 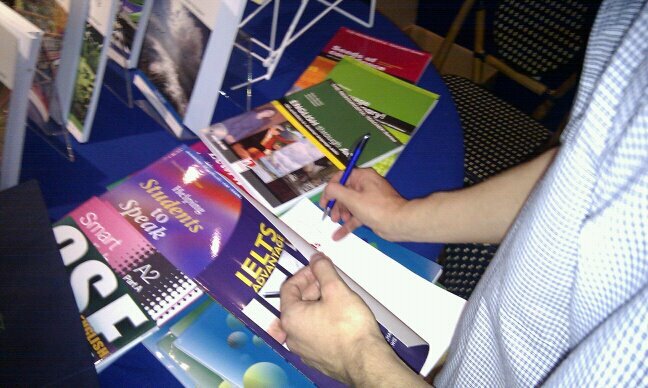 "IELTS Advantage" is a series of course books offering step-by-step guidance to achieving a high IELTS score. 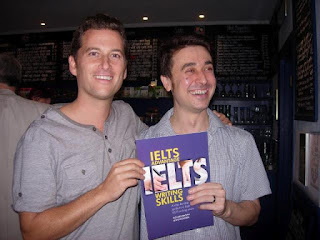 Although this book is not published by Cambridge University Press, it is the best writing guide for IELTS. Cambridge books seem to have neglected writing part of the exam, at least when it comes to aiming for band 7+. This wonderful book does job much better than they do. Collocations and phrases are the main characteristic of this excellent reference, but is not the only thing I adore. Sample essays and comments teach you as well. I've been struggling to understand rules of task 1, including a plan of this kind of essay. I purchased this outstanding book and everything changed. I feel more confident. Missing page is not a problem because the publisher attached this for my request. Worth buying and working through it!